Futher into my travels through NZ I found myself in Christchurch. The devistation of the 2011 earthquake was still readily visible, but a lot had been rebuilt and there were a lot of new and up and coming places around. 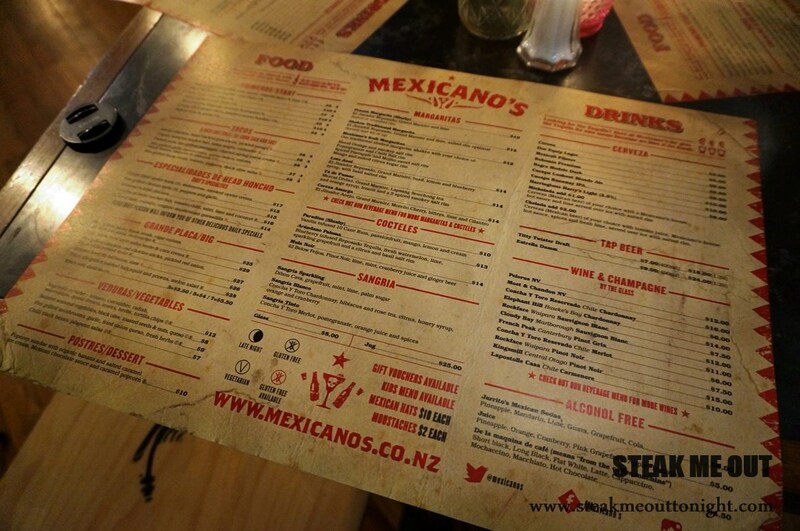 We happened onto a Mexican restaurant up along Victoria St, Mexicano. 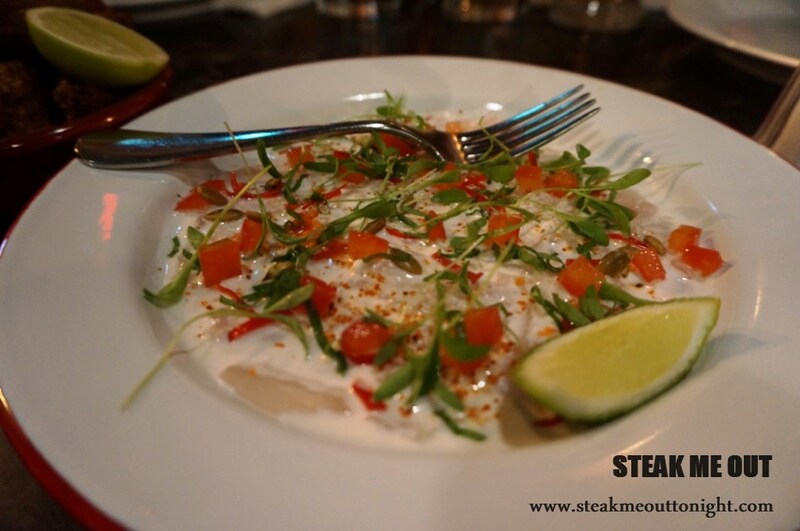 Mexicano was a very lively and well outfitted restaurant. Red neons, wood trim and various other token Mexican things scattered around the place. We sat and studied the menu, it was going to be a difficult decision, the menu had so many tantalizing options, that we decided between the three of us to share a handful of dishesWe ordered the ceviche, the fried chicken, and a steak (of course). I also got a fish taco for myself (because fish tacos are the best kind of taco). The fish taco and fried chicken came out first. I went for the taco first as the chicken had a fair amount of heat coming off it. 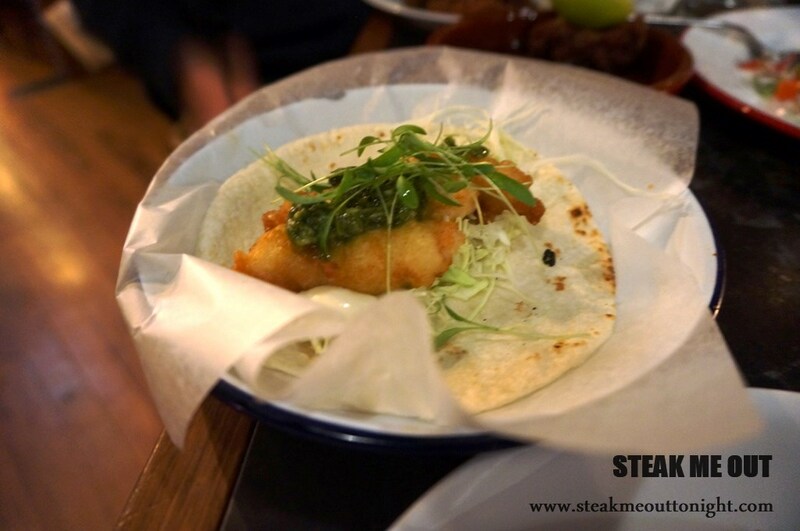 The fish was cooked perfectly, and the rest of the ingredients went brilliantly with the fish; an all-round great taco. 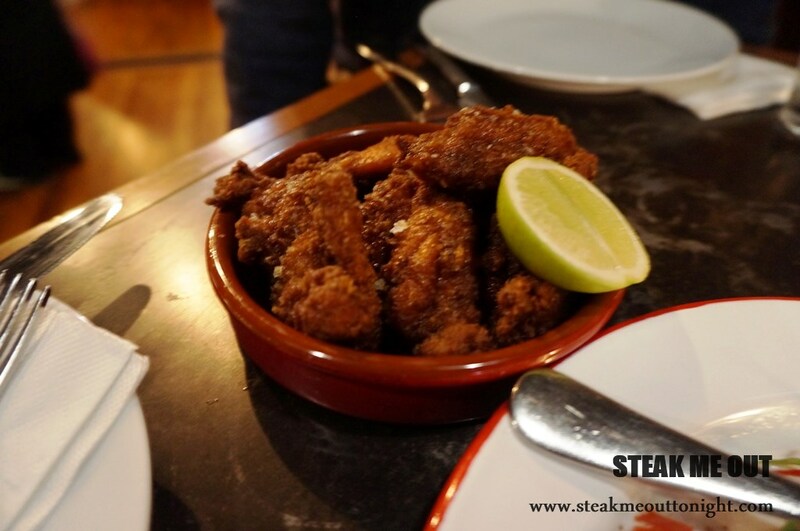 Onto the fried chicken, it was somewhat Reminiscent of Gami in Melbourne sweet soy and garlic, crispy and juicy coated in a sweet sauce, almost too sweet in my opinion in this instance. It needed a chilli after taste to kind of bring it back, which was easily fixed with the number of various bottles on the table. While it may seem like a complaint, it was me really just trying to find something wrong. The ceviche was considerably smaller than I expected for $16, but what it lacked in size it made up for in flavour Fresh, light, creamy and citrusy with a melt in the mouth texture to boot. Lastly the steak came out, and it was a stunner. A tantalizing aroma filled the air and the dish itself looked so hearty and wholesome. The cut was a flank and I had requested rare – the flank, being lean and a secondary cut, should be had no more than medium rare to avoid ruining the piece in my opinion. This one came out medium. Straight away you could taste and feel the results of the overcooking. The tenderness had gone and the texture was grainy and flakey. It definitely needed to be cooked rare. Everything else on the other hand was phenomenal. 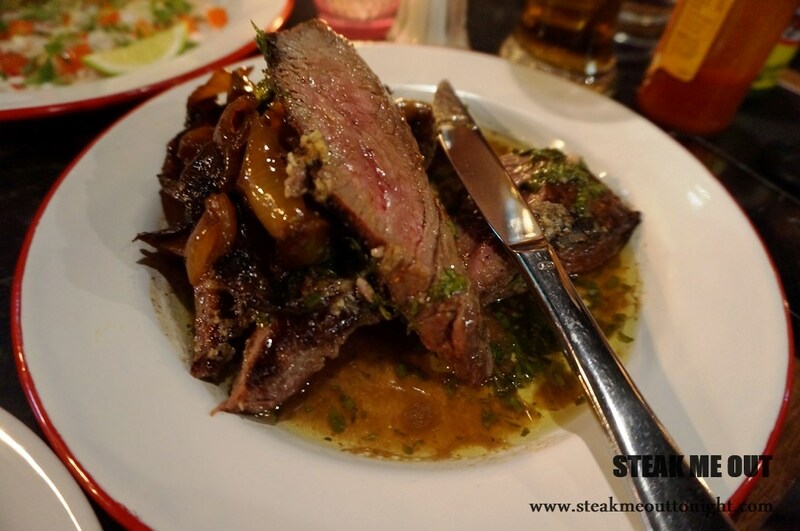 The beef was heavily charred, smokey, and carried a heavy and rich beefy flavour. 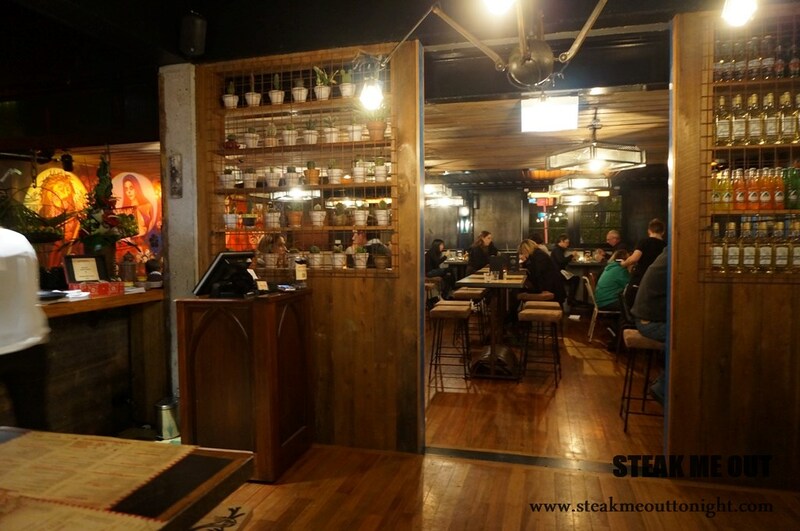 It’s unfortunate the steak was overcooked, it could have been so much more, however the experience as a whole was thoroughly enjoyable and the flavour in their food was exceptional. 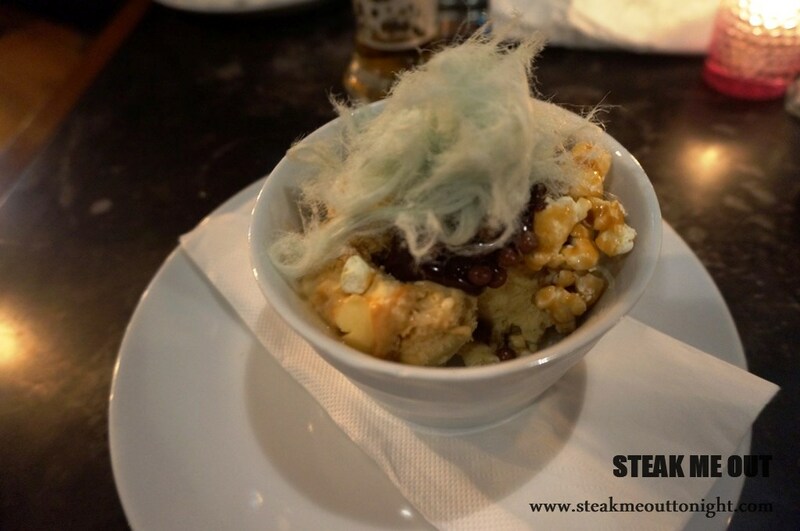 One last thing to note is there dessert menu; they have one item on it: a Popcorn sundae. You’re a fool not to get it, it was incredible. 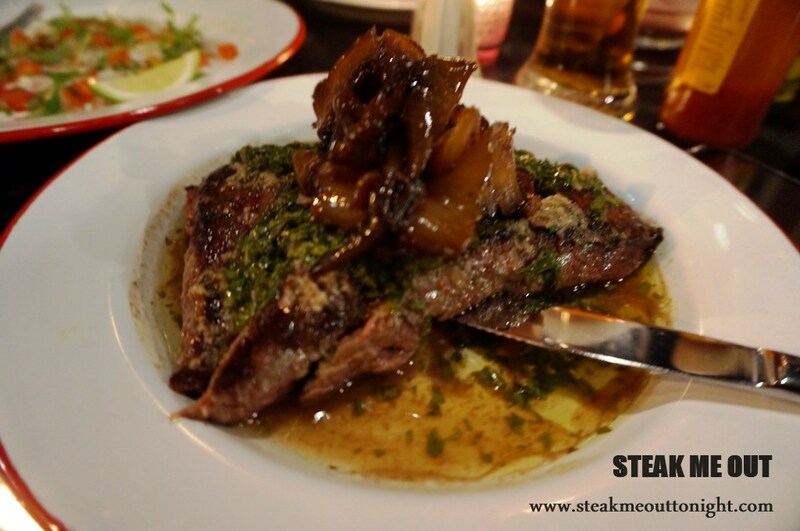 Posted on December 31, 2014 October 13, 2015 by AdrielPosted in New Zealand, SteakTagged Christchurch, Flank, Good, Mexican, New Zealand, Steaks.